After making its track debut at home in Fiorano on Monday, the Ferrari 458 Italia Grand AM will be back in action on 26 and 27 July for a private test session at Florida’s Daytona International Speedway. Taking turns at the wheel will be the tried and tested duo of Jaime Melo and Toni Vilander who can pride themselves of having an extensive list of wins to their name in Ferraris. 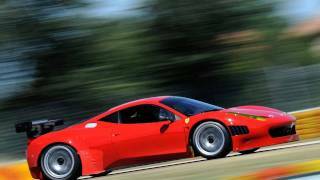 They will continue development work on the 458 Italia Grand Am in preparation for its participation in the 2012 American championship. 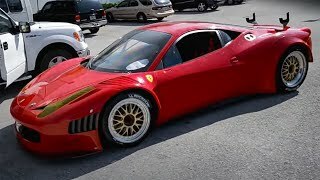 Maranello, 20 July - After making its track debut at home in Fiorano on Monday, the 458 Italia Grand Am will be back in action on 26 and 27 July for a private test session at Florida’s Daytona International Speedway. Taking turns at the wheel will be the tried and tested duo of Jaime Melo and Toni Vilander who can pride themselves of having an extensive list of wins to their name in Ferraris. 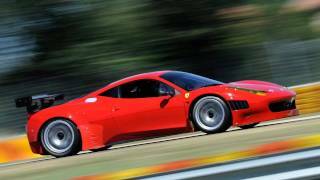 They will continue development work on the 458 Italia Grand Am in preparation for its participation in the 2012 American championship. Daytona recalls many memories of past Ferrari victories in the famous 24 Hour race, the company having close links with this important event. In fact, Ferrari has taken part in 47 of these endurance races, winning five of them outright as well as taking 15 class wins. Standing out in that list was an amazing clean sweep of the podium in 1967 for the two Ferrari 330 P4 and a 412 N.A.R.T., while back in 1962, Phil Hill and Ricardo Rodriguez won in a Dino 246 SP. That year, no less than four Ferraris finished in the top ten while in 1972, Mario Andretti and Jacky Ickx won in a 312 PB.